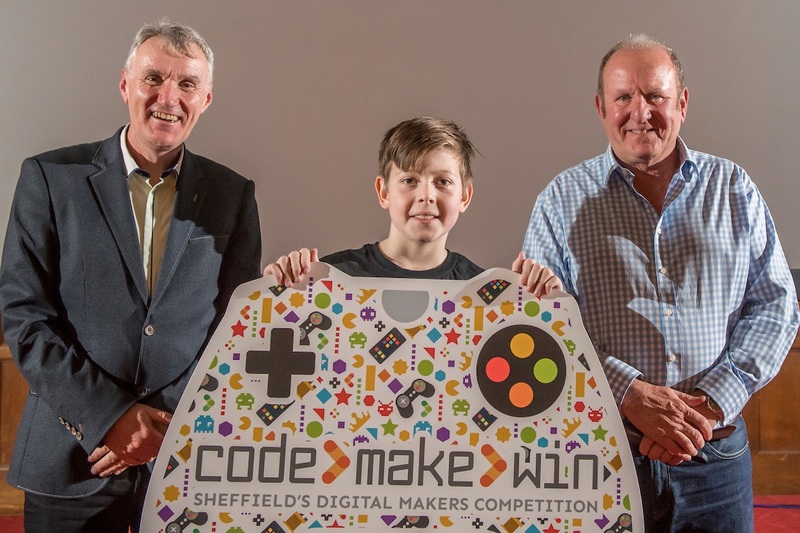 The Code>Make>Win competition is a celebration of Sheffield’s young coders. 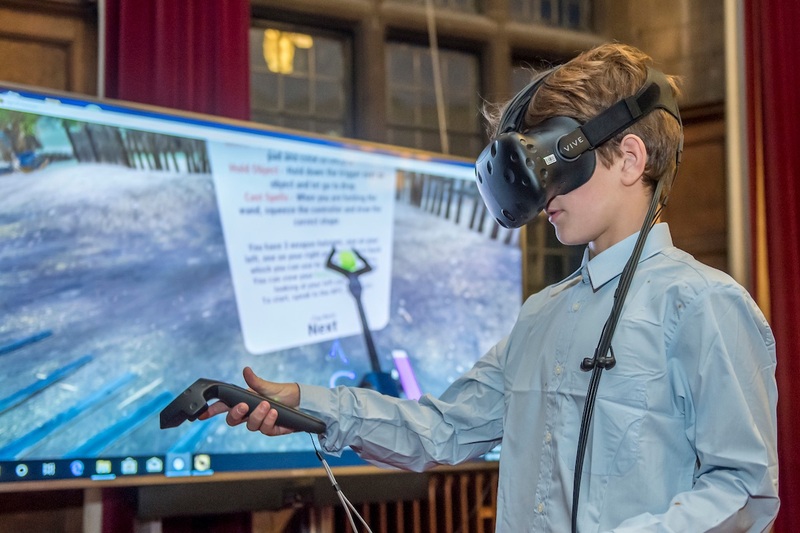 It’s great to see our city’s businesses, many from the Sheffield Digital community, getting involved and supporting the next generation of talent. 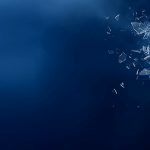 Read on to get an overview of the winners and the businesses involved in this year’s competition. 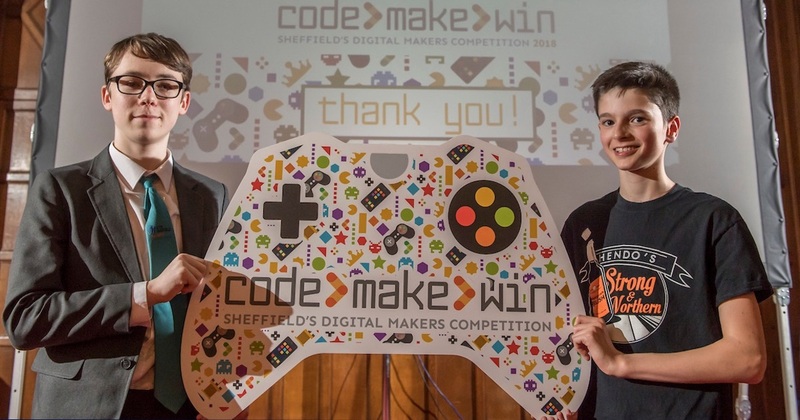 Two young coders from Sheffield have been recognised for their game development skills in the city’s CODE>MAKE>WIN 2018 competition. 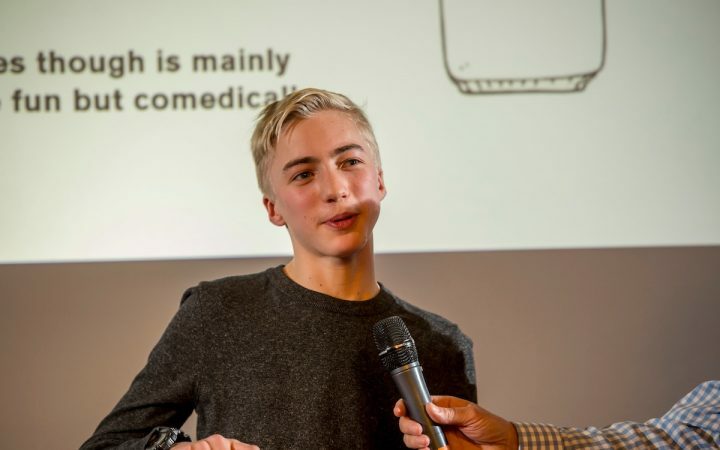 Jack Underwood and Edward Waller fought off tough competition to be awarded first prize in games design for the age 14–16 and 10–13 categories respectively. The annual competition for young coders, which is supported by Sheffield City Council and local employers from our sector, is now in its third year. It attracted ideas for games and apps as well as coded products, generating 11 winners across all categories. 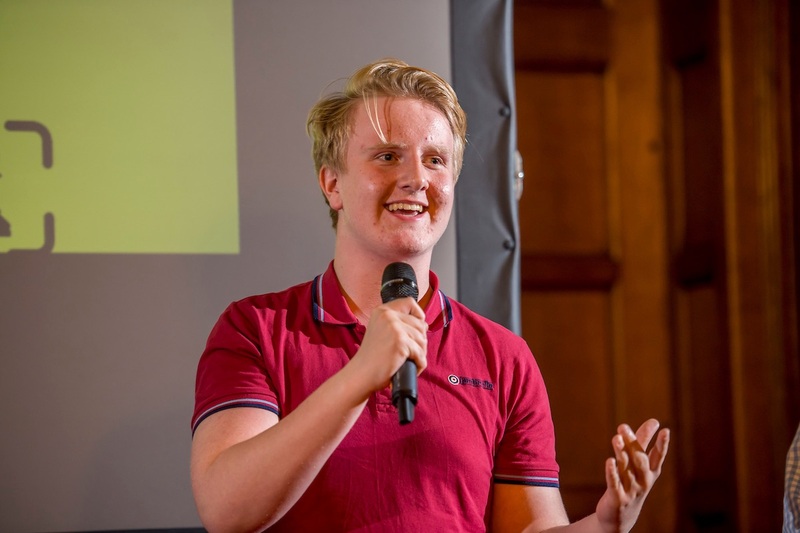 The competition culminated in an awards ceremony at Sheffield Town Hall on Wednesday 24 October. 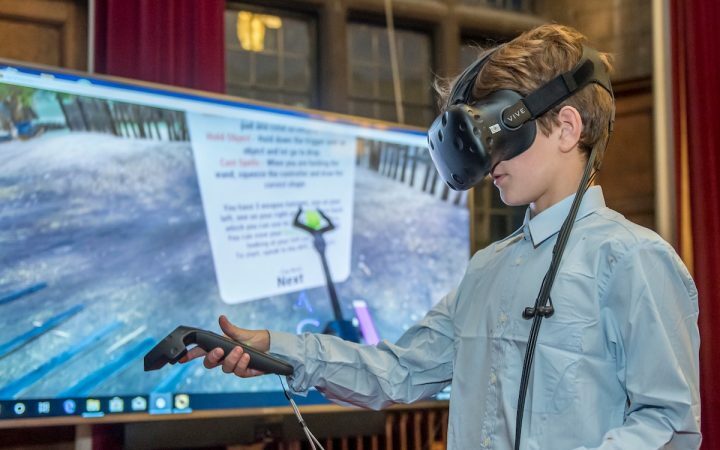 The audience included a number of young people from across Europe visiting Sheffield for a three-day ‘Make Learn Share Europe’ digital skills event, collaborating with students from Sheffield schools. Keynote presenter at the awards was Ian Livingstone CBE, the founder of Games Workshop and Non-executive Director of Sumo Group PLC. 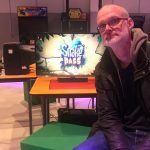 Ian is one of the biggest names in the UK games industry and spoke passionately about the value of games to society, with over 2.2 billion people world-wide using games not just for fun but for learning. 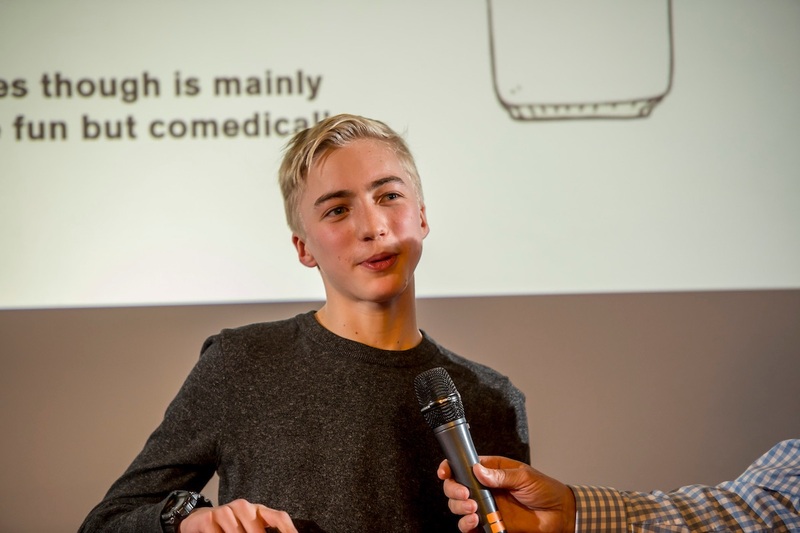 The CODE>MAKE>WIN winners were awarded cash prizes as well as a collection of tech gifts from Pimoroni. All winners will also have the opportunity to visit and tour Sumo Digital. 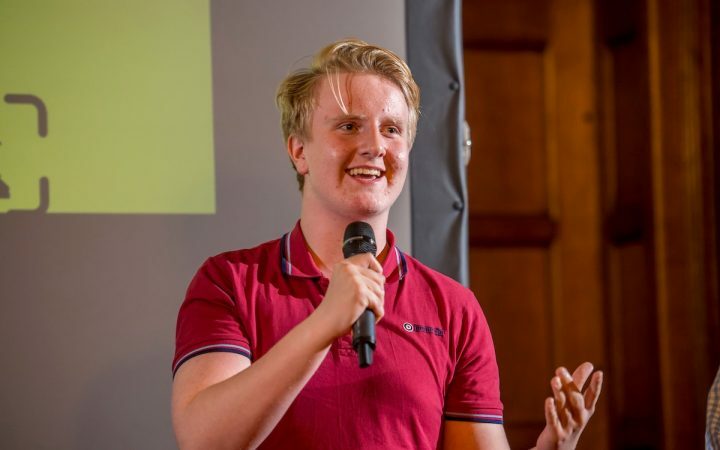 The winner of the apps category, Jude Smith from High Storrs School, will also be offered a work experience placement with 3Squared. Dylan Scott, ‘The Milkman of the Apocalypse’.